Pole Mount Speed Signs - Wanco Inc.
Wanco Pole Mount Radar-Speed Signs show vehicle speed and warn motorists to slow down by flashing their excessive speed. 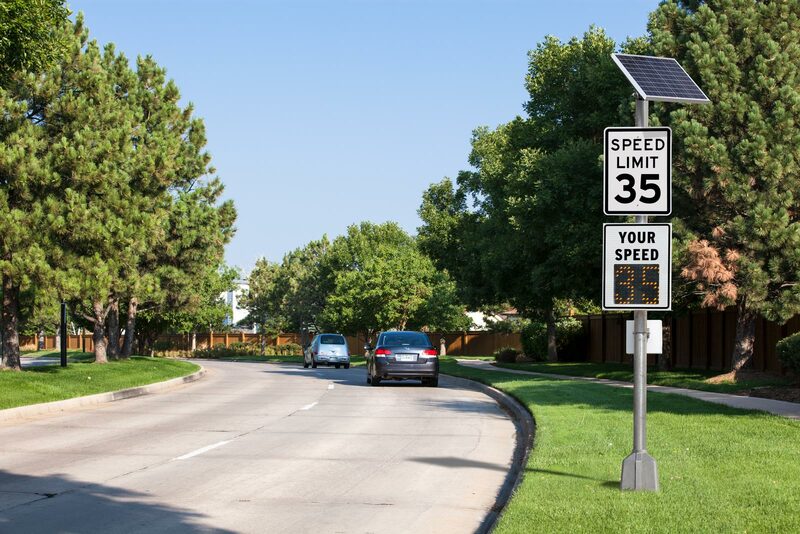 They are often deployed in school zones, neighborhoods and accident-prone areas — locations where obeying the speed limit is critical. 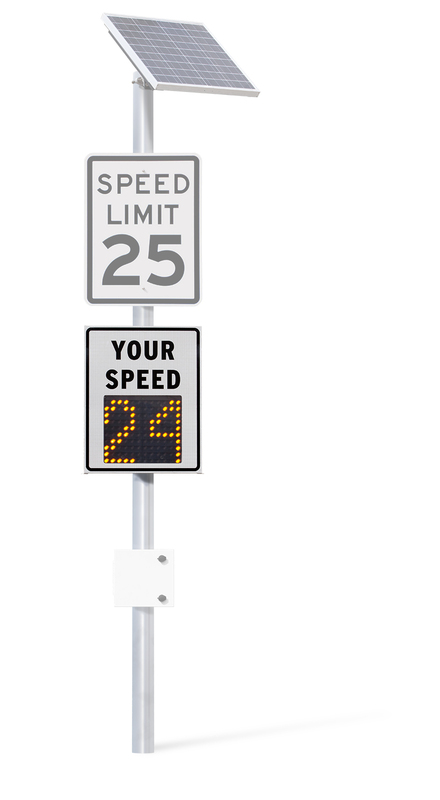 Wanco offers two sizes of electronic LED speed displays for small and large roads. 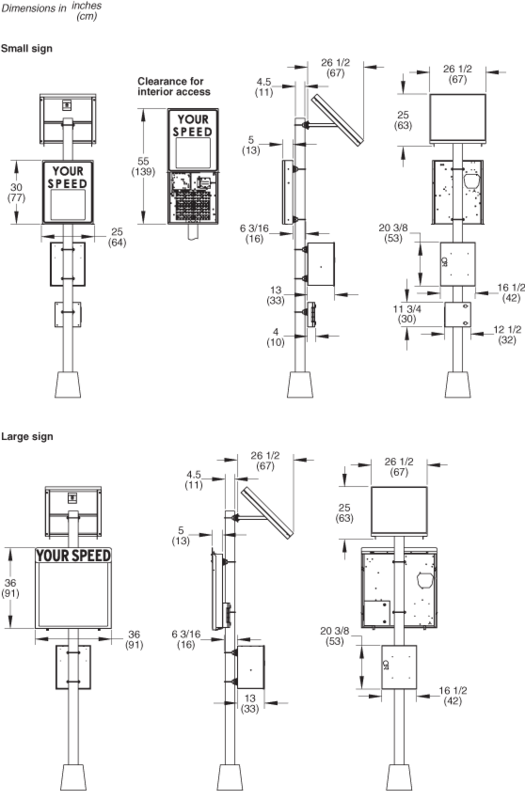 The signs can be either hard-wired to commercial power or battery-powered with an automatic solar-based charging system.